SPENCER BURTON – Learning about learning. Another Summer has come and gone, but the memories of Summer Program 2017 will last forever. 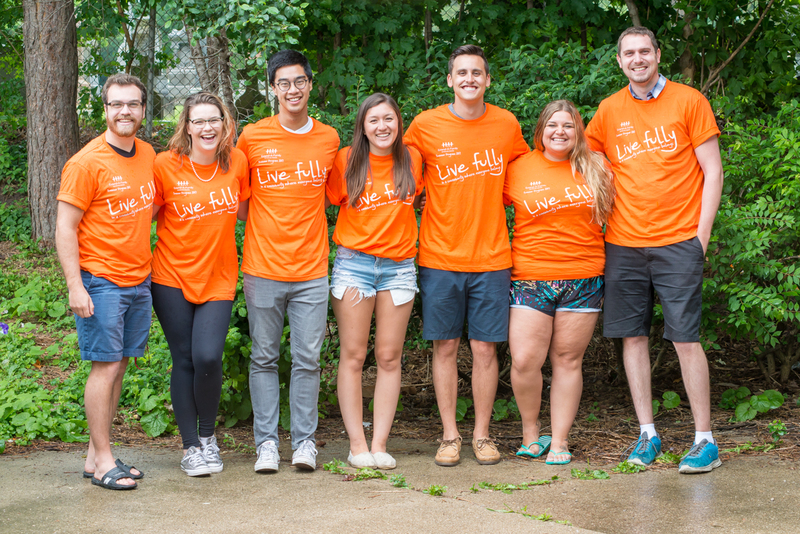 6 Fantastic Leaders + 1 Coordinator + 1 On-Site Director = 1 Buzzin’ Beehive! Lindsie “Lasagna with Cheese” Driver, Emily “Embrella-Ella-Ella-Eh-Eh” Oatway, Evan “Microwave Evan” Hoffmann, Marc “Marker” Pacia, Lee “from Leon’s” Park, Sabrina “Sabri-NO-NO” Smith, Eli “Y’all I’m from Winterfell” Winterfeld and Spencer “Subzero” Burton. As a team we worked together through the highs and lows of the summer to run a fantastic seven weeks of camp! So let’s take a trip down memory lane as we explore the fun and the excitement of Summer Camp! Fresh off of celebrating Canada’s 150th birthday, we jet setted around the globe with 25 magnificent world-class travellers. We started off by travelling around the world through a global scavenger hunt. After getting tired of traveling, we brought the world to us! Hands On Exotics came by for a visit and brought numerous animals and birds from around the world! Next, we travelled to the most magical place on Earth, Disney World! 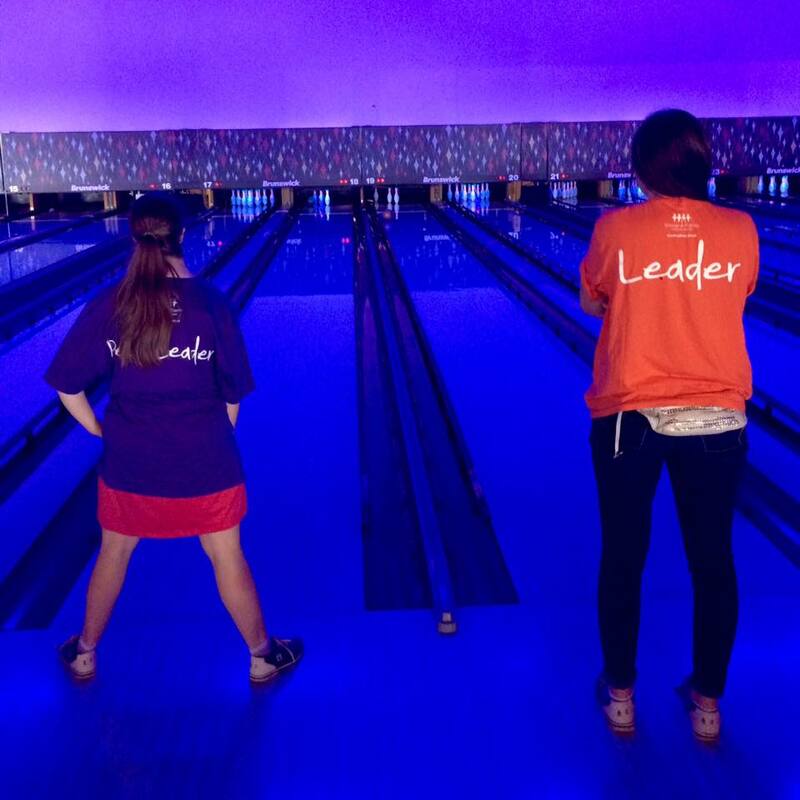 We enjoyed a fun filled morning of Disney themed games, including Bowling for Olaf, Pin the Tail on Eeyore and Tinkerbell Badminton. We ended the week off in Africa at the African Lion Safari! We marveled at the height of the giraffes, the flight of the eagles and the strength of the lions! It truly was a fantastic start to an amazing summer! Calling all athletes! We dribbled our way into week two of camp, with a fan-favourite theme: Get Your Game On! This year, we played so many sports that rivaled the Olympics! Basketball, floor hockey, soccer, soccer baseball, badminton, you name it, we played it! On Wednesday, we danced the morning away with our Aussie friend from X-Movement who let us unleash our X-tra awesome dance abilities! With all the fantastic athletes we saw at camp, we decided to reward everyone with a trophy. We made trophies during craft time and handed them out at the end of the week. We kept active with different sports on Friday, and hit the town to go bowling at Bingemans and swimming at the Waterloo Recreation Complex. This week definitely deserved a gold medal! We decided to give back to the community on our Vibrant Volunteers week of camp, where our focus was to help other people. We spent a full day at the Family Centre baking cookies, cleaning up toys, and writing a summer camp song! The Mennonite Central Committee stopped by and gave us the supplies needed for us to create care packages for refugees across the globe, and taught us about the importance of volunteer work. 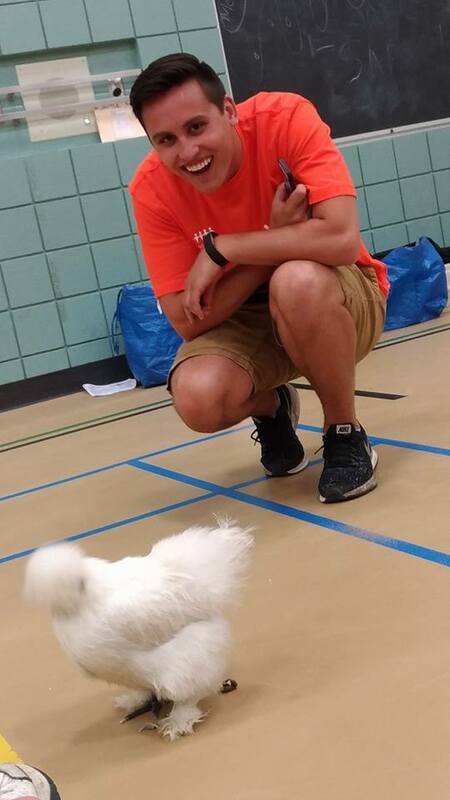 We took breaks from volunteering and giving back by playing life-sized Angry Birds, making wind chimes and bird feeders, and dodgeball! 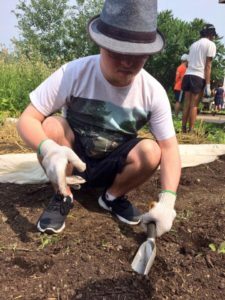 At the end of the week, we spent the morning in the sun at the Hacienda Sarria Market Garden planting, weeding, and watering all types of plants, and cooled off swimming at the Waterloo Recreation Complex. Everyone had their moment in the spotlight at our Hidden Talents week! We hunted for items in a school-wide scavenger hunt, cheered our hearts out with our very own camp cheer, became Minute To Win It all stars, captured all the flags, and made our own flower pots! We were in awe when Mad Science came in with ice and fire and gave everyone the chance to taste a burp! We gave everyone the opportunity to perform their hidden talents and had superb singers, daring dancers, ballin’ basketball tricks, brilliant beatboxers, and we gave out amazing awards to everyone! We hit as many strikes as we could bowling at Kingpin, and ended our week watching the Emoji movie. As the temperature peaked, we cooled off with Wacky Water Week! Everyday, we refreshed ourselves with a bunch of different water games. Drip Drip Drop, water balloon toss and more water fights than we can count! 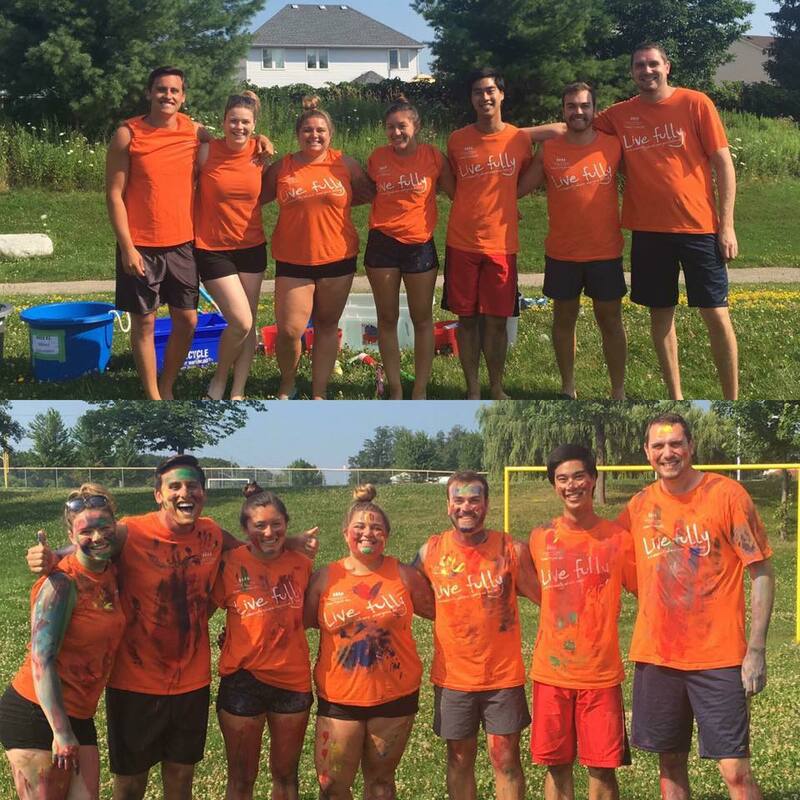 Participants also painted the leaders in Reverse Paintball and used water balloons, water guns and sponges to undo their painted masterpieces. Everyone also unleashed their inner Da Vinci’s by creating works of art that they took home: tie dye t-shirts! As Wacky Water Week reached its course, we decided to visit the wackiest creatures of them all – the Minions! Our big day trip involved a visit to the theatre where we munched on popcorn, sipped on soda and laughed our banana’s off during Despicable Me 3! As day program came to a close, there was still two weeks of overnight camp with a lot of fun to be had. We settled into cozy Camp Impeesa with nothing but beautiful nature in sight. We started the week off with a campfire, singing classic around the fire songs such as Down By The Bay, The Moose Song, the Littlest Worm and so many more. Award winning food was served by the staff, being cheered for at every meal. The days went by quickly, being filled with mindfulness colouring books, card games, outdoor activities, and friendship bracelets. The evenings were full of movies, bingo, and a dance on Thursday to finish off a spectacular week. A big hit was the photo scavenger hunt, creating some friendly competition among the participants and leaders. Bags were packed and we headed home Friday afternoon where everyone was excited to see their families, but sad to leave their new found friends and the wonderful relationships that we all built. 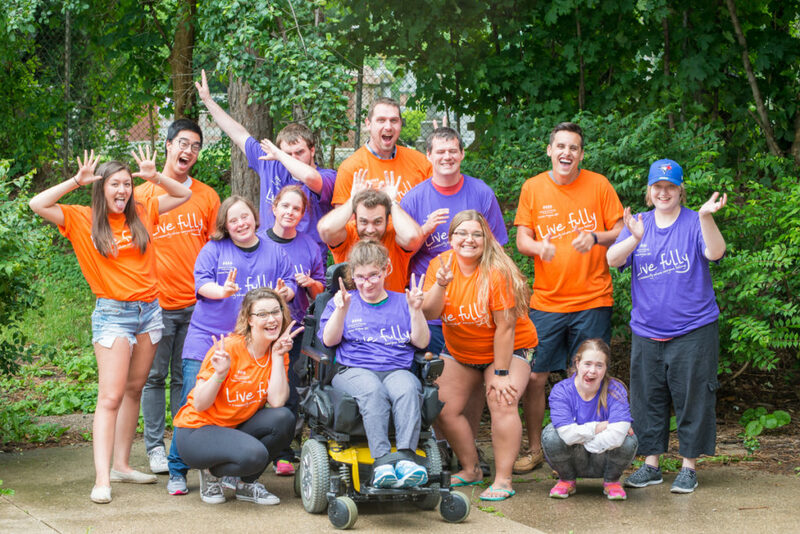 Before we knew it, summer program came to a close, leaving behind beautiful memories and new relationships. We want to extend many thanks to those who were involved in making the 2017 Summer Program a success. Shout out to the custodial staff at St. Dominic Savio Elementary School for going above and beyond, once again, to make our stay as welcoming and inclusive as possible. Another shout out to Extend-A-Family staff, who came to visit us and supported us through Summer Program. It has been an unforgettable summer that we will all cherish for many years to come! Select one manipulative and describe how it could enhance the understanding of a mathematical concept or big idea. Align the tool to a grade and suggest a hands-on task. Tangram is a puzzle made from 7 differently-sized shapes that, when placed in a specific order, create an image. Tangrams are a great way to reinforce themes within geometry, such as shapes, sides, angles, and vertices. Additionally, through the continued use of tangrams, students are encouraged to recognize shapes and mathematical themes in their everyday life. The different sizes, shapes, and colours add to the sensory stimulation that engages students and keeps them attended to the activity at hand. 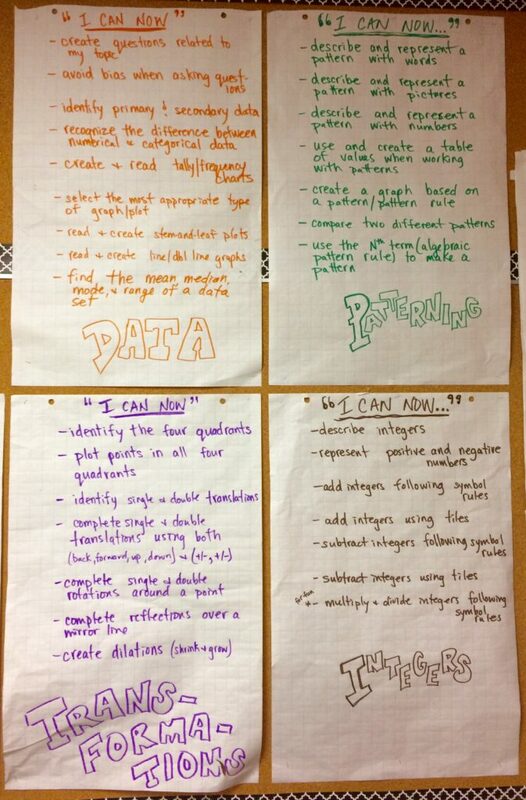 Post 3 of the most important strategies or things a teacher is doing in the math classroom to support and/or create an inviting math environment. Describe and reflect on these high yield strategies. Educators across the system are working towards creating positive, safe, and supportive learning environments in every subject matter. The Guide to Effective Instruction in Mathematics discusses the importance of developing a mathematical community, in which students can learn to support each other in their learning and build off of each other’s thinking. This is made possible when using strategies like Bansho or Number Talks. These strategies allow student to share their thought processes, while also learning from the strategies being shared by their peers. 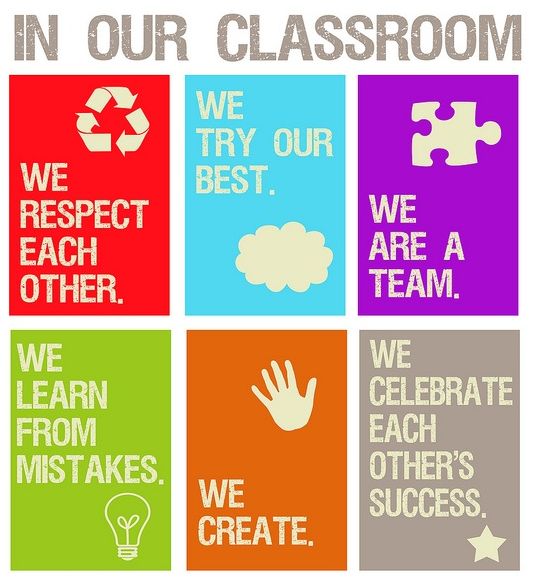 Intentionally teaching students how to be positive and respectful members of a learning community helps to add to the overall learning experience. The using classroom resources is especially important with our new wave of teaching mathematics. Even a short 10 years ago, I was being taught mathematics in a learning environment that only used resources such as a textbook and worksheets. Nowadays, we provide experiential learning opportunities for our students in which they can touch, feel, and move throughout their learning. This involves using resources like manipulatives and technology (laptop, tablets, tools, etc.) to keep the learning engaging, while also teaching the students important 21st Century learning skills. Structure in the form of the three-part math lesson is an important strategy when creating an inviting math environment. The area in this type of lesson that is the first to be disregarded is the consolidation, typically because the class runs out of time. 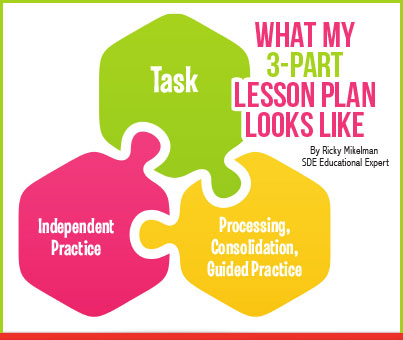 By being more structured with the timing of specific types and sections of lessons, educators can ensure that the consolidation is carried out for all lessons. This allows students to share their learning, use appropriate vocabulary, discuss strategies, and learn from their peers. The mathematics classroom environments of the past consisted of textbooks, worksheets, and rows of desks. This model catered to the rote learning model that killed student creativity and neglected the students’ ability to problem solve using their own methods and strategies. As an educator entering the teaching profession in the 21st century, I hope to bring a wave of fresh ideas and new approaches to learning that engage students, challenge their thinking, and promotes a positive growth mindset. As an educator, I embrace the opportunity to create a learning environment in which students are able to flourish as learners and as people, developing into positive and active members of society. I think of myself as a ‘facilitator of learning,’ where I provide authentic learning opportunities for my students to inquire and discover as I continue to learn alongside them. By providing opportunities for guided experiential learning, rather than structured rote teaching, students learn by doing, writing, designing, creating, making and solving, not just by listening. 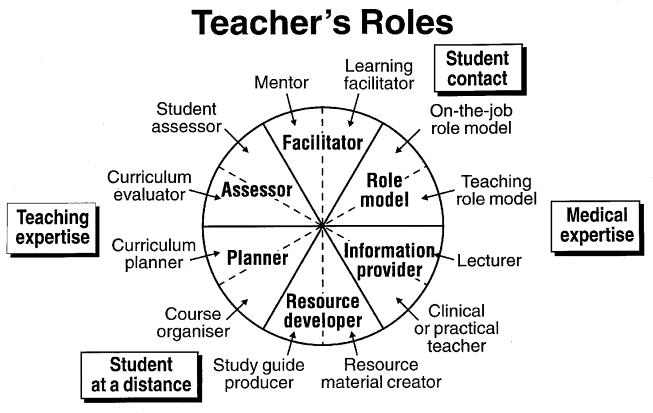 Within the classroom, the educator should circulate around the learning environment, checking in with each student or group of students to assess their learning, write anecdotal notes, and challenge or extend student learning. They can also identify which students require more academic assistance, especially those with math IEPs, and work with the students to find activities that develop specific learning goals. 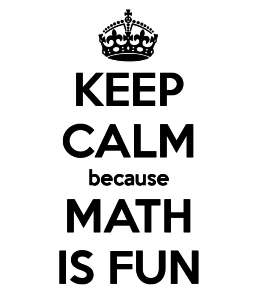 More than anything, it is the role of the educator to build strong, positive attitudes towards math. As outlined in the Ministry of Education’s Parent Guide to Doing Mathematics with your Child, “When children feel positively engaged and successful, they are more likely to stick with an activity or a problem to find a solution” (pg. 2). A positive growth mindset will help students to exceed their own expectations! The use of technology within the mathematics classroom can help to engage students in their learning, while also providing opportunities to work with different aids throughout their problem solving. Here are a number of ways in which technology can be integrated throughout the math classroom. Kahoot is an online tool that engages students in a class-wide quiz about a certain topic. The quiz can be on any topic, including multiple concept areas in mathematics. Students read a question, choose the correct multiple choice answer and their results are recorded. Even with so much learning taking place, Kahoots always seem to bring out the fun and excitement in the lesson. The students are happy because they get to use technology and they also feel a sense of competition, which in my opinion furthers their overall performance. Another digital tool that can be used within a math classroom is Quizizz. This program is very much like Kahoot, but students work through the quiz independently, at their own pace, and the order of the questions get randomized so students don’t shout out all of the answers. It still ranks the students based on the number of answers correct and generates reports for the teacher to review. Quizizz is a great tool! Osmo has a number of different kits that you can buy. As long as the school has an iPad and can download the corresponding app, all that will need to be purchased are the Omso kits. These kits come with the iPad stand, the curved mirror for the camera, and the tangram pieces. They also have other kits about numbers, coding strings, and word tiles. There are a number of online math games that students can easily access to help promote concepts being taught in class. An example of a game that students can access is Prodigy. This game allows students to create a profile, design an avatar, and complete multiple levels. Students have to complete math questions to battle other characters and progress through the levels. More times than not, students will be so consumed with the game that they won’t even realize how much math learning is taking place! Coding is a great cross-curricular connection between Math, Science, and even Language. Coding has students create sequences of commands that lead to a specific action or outcome. When using robotics technology, such as a Sphero, students are able to code the robot to move a certain distance, rotate a specific way, and even travel at a certain speed. Robotics and coding would typically fall under the category of Science and Technology, however, there are many different and creative ways in which it can have a math focus. For example, students could use angles and rotations to maneuver the robot through a maze that the students create. There are also some valuable Language expectations met when coding, predominantly procedural writing. Even without robotic technology, students can practice coding online at Code.org, a free website that providing coding tutorials and challenges for students. Coding and robotics are great ways to bring a math problem to life, while also teaching the students valuable and applicable 21st century skills. Khan Academy is an online learning platform on which students complete different modules and assess themselves by completing different tasks. The students’ profiles are linked to the teacher’s account, allowing the teacher to see how much time has been spent on Khan Academy and how much progress they have had in each module. The various tasks and instructional videos provide students with supplemental learning that can be accessed both within and outside of the classroom. Once or twice a week, students could come into the classroom with a Chromebook on their desk and a new module on Khan Academy assigned to them. From what I was told, this resource is based out of the USA, so there are some issues with measurements (gallons vs. litres), but for the most part, the curriculum standards and expectations are concurrent with Ontario’s curriculum. Learning centres allow students the freedom of choice when it comes to their learning. These centres are readily equipped for students to go to and begin a task. They also provide many inquiry-based learning opportunities, especially since the centres are student-driven. As outlined in the previous section, technology provides many great learning opportunities that may not otherwise be available. Computers, iPads, robotics, and other applications truly add to the learning environment and help students to gain imperative 21st century technology skills. Having technology learning centres available to students provides continual exposure to these important concepts. In addition to the technology centres within the classroom, there should be some sensory stations that allow students to be hands-on with their learning. For primary grades, water and/or sand tables provide students with an environment in which they can play and explore, while using multiple math concepts, such as measurement. 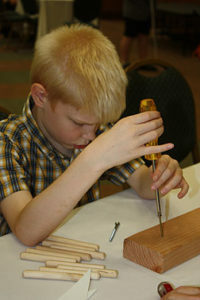 In the Junior grades, students could use scrap pieces of wood and various tools to practice applicable building and woodworking skills. 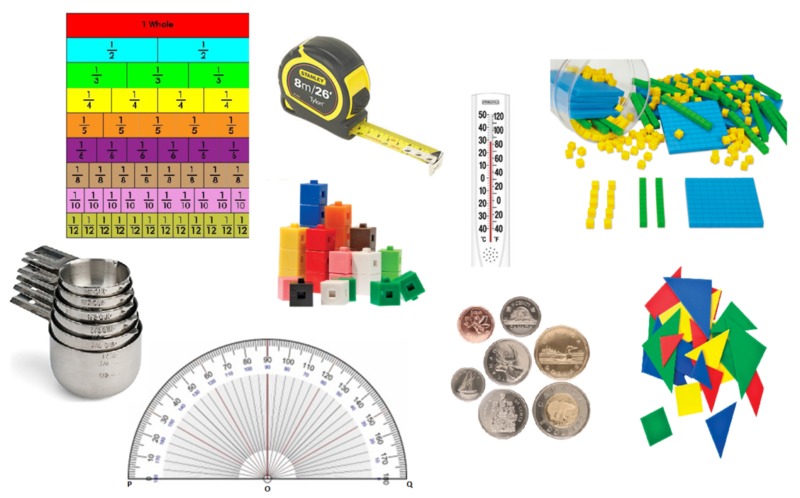 These activities would also promote math learning through geometry, measurement, and number sense. Games help to encourage play-based learning and show students that math does not have to be dry and scary. 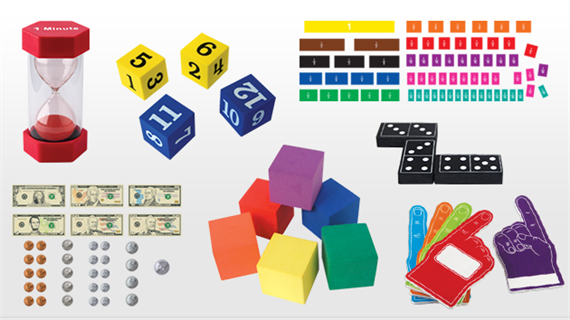 A variety of math games could be available at a learning centre in the classroom. 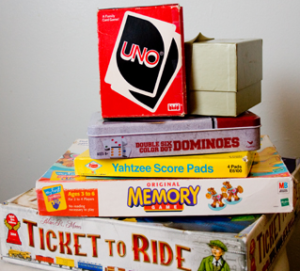 Possible games could include playing cards with a binder of multiple card games (each game is strategy chosen to reinforce a mathematical concept), dice for probability games or operation races (i.e., first to multiply the numbers of the rolled dice together), and flashcards to quiz each other and race to be the first to answer the question correctly. The classroom should be organized in a way in which each area is used effectively and is organized. Bins and shelving units are a great way to store manipulatives and electronics so that they are safe and easily accessible for the next person. The different areas of the room should be labelled so that students know what is available to them and where they can find things within the classroom. The classroom will have evidence of student learning up on the walls for students to reference. 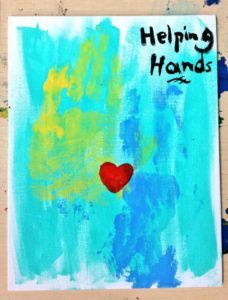 This gives a sense of ownership and agency to the students knowing that their work is being displayed. It also allows students to reflect back on what they have learned and refresh themselves about strategies to complete a given task. In addition to student work, a word wall can be used to reinforce conceptual language and knowledge. Success criteria are an important and successful way of communicating the academic expectations for a given task to students. This concept has developed by engaging students in the process of defining the learning goals and outlining what success looks like. This idea of co-creating success criteria is a great way to encourage students to use assessment vocabulary while also making them more aware of identifying what is expected of them given any assessment description. It also encourages the concept of students taking ownership of their own learning and deciding what the focus of assessment should be on. The success criteria should be explicitly labeled and posted in the classroom for students to see. 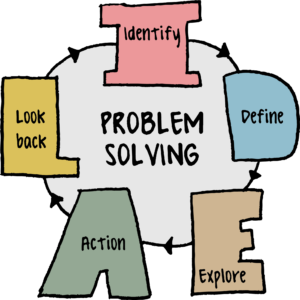 Problem solving questions, specifically in math, provide opportunities for students to practice their learned skills in applicable and relevant situations. They challenge the students to reflect on what they have learned theoretically and apply this knowledge in practical, thought-provoking applications. It is very important that we teach students to embrace problem solving, treating it like a puzzle to be solved rather than a brick wall preventing us from achieving success. When we adequately prepare students with the tools that they need during problem solving, they come to learn that they are able to problem solve and they can achieve success. 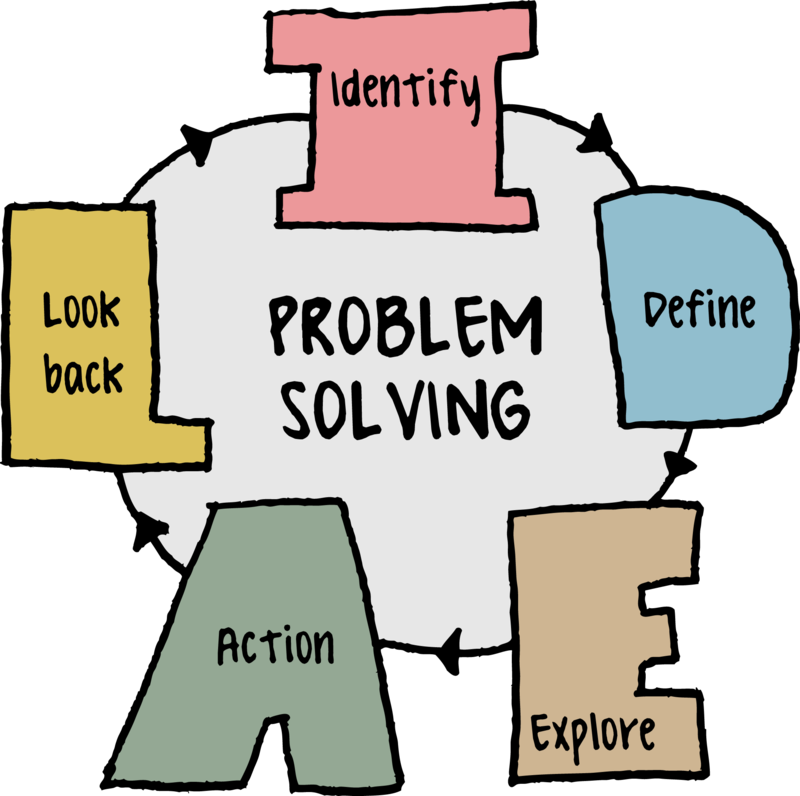 This, in turn, develops a positive disposition towards problem solving for our students. The Guide to Effective Instruction: Grades K to 6 – Volume 2 – Problem Solving and Communication teaches us that rich and engaging problem solving questions not only teach students through problem solving (practicing conceptual understanding), but they also teach student about problem solving by learning applicable learning skills (Guide to Effective Instruction, pg. 6). By teaching student through and about problem solving, we are able to see if the student has grasped the concept while also exploring the strategy they used throughout the process. When we are able to see both aspects, we then know that we have created a rich mathematical question. It is also important that we ensure the questions are relevant to the students by using real-world situations that are linked to their specific interests. 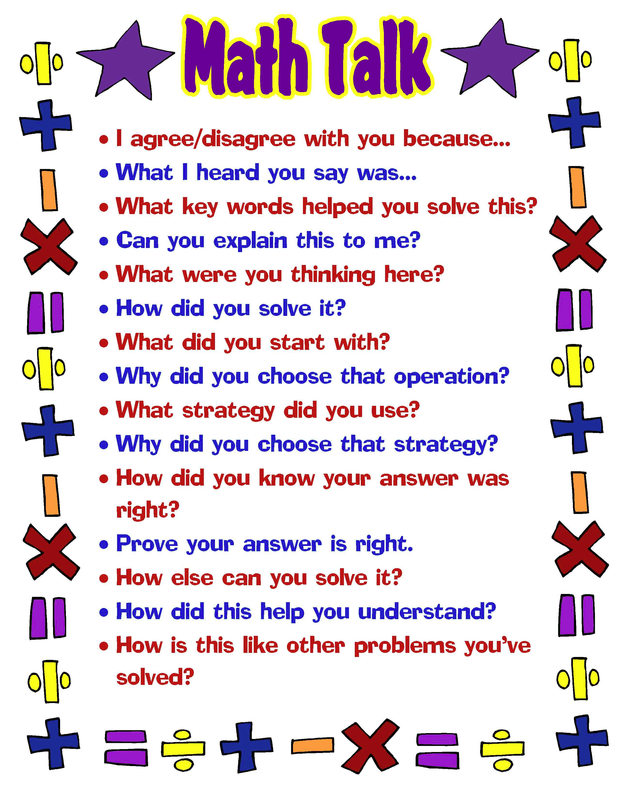 Conversations around problem solving help to teach students to be cognitive about their own strategies, while also being able to learn from their peers and adopt new and perhaps more efficient strategies. As Marion Small says in the video Open Questions and Contexts, “[Different strategies] enrich the conversation; it does not detract from it.” Math talks and bansho consolidation presentations are great ways to verbally explore these strategies in a whole-class setting. Other ways to communicate their thinking could be in a math journal, in which the student explains the strategies they used throughout the day’s lesson, or by creating a video/voice recording of their verbal explanations (for those students less inclined to share with the class). 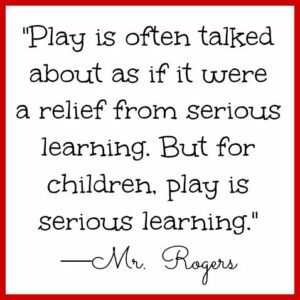 As Doug Clements said in his talk about Intentional Play-Based Learning, the best type of learning including all kinds of learning experiences, including both play-based and guided learning. We should prompt students and give creative challenges that develop high-caliber mathematical thinking and reasoning while the students are engaging in play-based learning. This model of inquiry-based learning also provides the teacher with multiple opportunities to check-in with students throughout the learning, help to reinforce mathematical language, and develop the student’s ability to explain their processes and strategies. Students develop higher levels of social skills, emotional skills, and self-regulation skills when they emerge in guided play-based learning. My goal when providing students with inquiry-based learning opportunities is to achieve multiple curriculum expectations, while also working on many learning skills. The 6 C’s are a great framework when considering the learning skills that students could work towards in a given task. 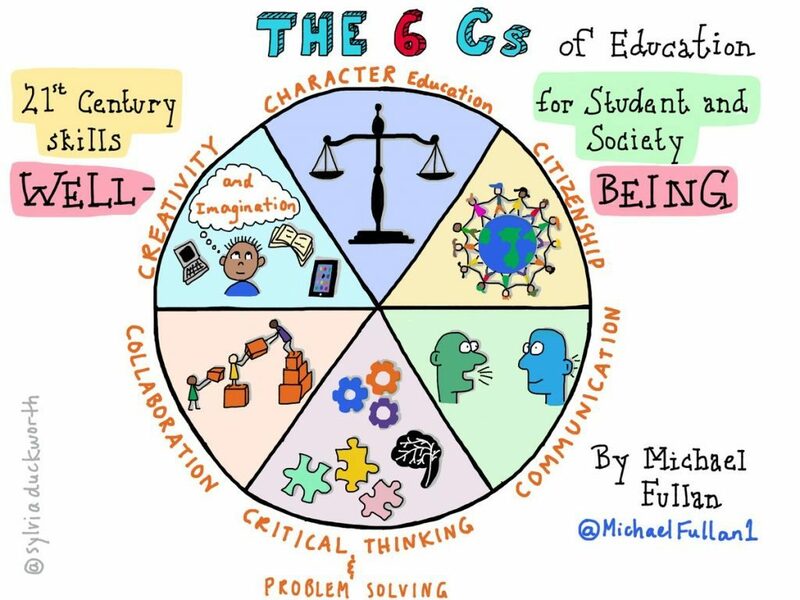 The 6 C’s outline some important 21st century learning skills that each student should work towards developing. Feedback is often secondary to the grade or level received because it has been ingrained in the world for so long that the final grade is what counts. Educational research generally says that feedback without a mark is the most powerful for affecting change. How does this research impact your assessment practices? 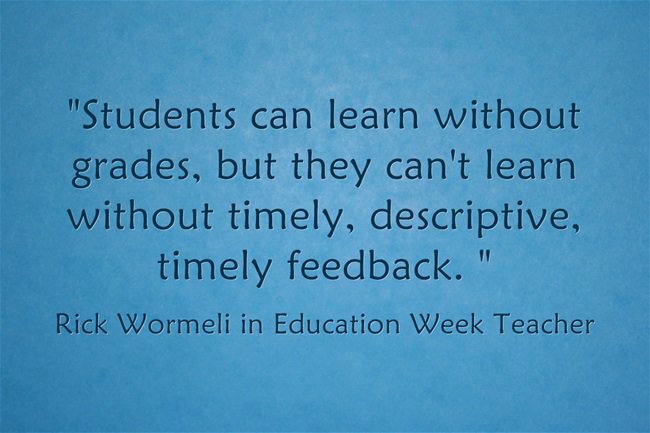 How do you use feedback to move student thinking forward? Even as a new teacher entering into the field of education, I have met a number of teachers who are going gradeless in their classrooms. This aligns with the educational research and their own experiences which tell them that students respond best to written or verbal feedback, rather than a letter or percentage grade. Too often, students look at the final grade and take it as the ‘be all and end all’, skipping over the descriptive feedback provided about their current performance and ways to improve. This cycle also leads students to “only want a C” or to achieve the letter grade that meets their parent’s expectations. This, however, actually takes away from the learning process in that final grades are the smallest form of feedback for students; it labels their current ability without providing ways or suggestions for improving. The Assessment and Evaluation of Student Achievement portion of the Ontario mathematics curriculum states: “As part of assessment, teachers provide students with descriptive feedback that guides their efforts towards improvement” (Ontario Mathematics Curriculum, 2005). Education involves learning, trying, receiving feedback, and trying again. Written and/or oral feedback provides students with a personalized description of how to improve. This is why more and more teachers are moving away from overall grades and focusing on detailed feedback. However, I also acknowledge that much of our education system past the elementary grades revolves around percentages and final outcomes, especially because that determines the future of a student’s education (i.e., next course, university acceptance, etc.). I believe that it is our duty as Primary/Junior teachers to provide students with the understanding that feedback is important and that there is still something to learn when receiving feedback (learning about our process, as well as during the process). Share your thoughts on whether you agree or disagree with Marion Small’s view of success criteria and “generalizing vs particularizing” in math. Marion Small makes a very interesting point when she discusses generalizing vs. particularizing in her video about success criteria. Marion spoke about how some educators identify the success of their students when they use the mathematic terminology that the researchers and textbooks provide. In these cases, there is a higher emphasis on ‘particularizing’, in that the students must learn to remember the name of a strategy rather than being able to explain how a strategy was used. ‘Generalizing’ involves having the students explain what method they used and how it was effective, without hyper-focusing on terminology. I agree with Marion Small’s view of generalizing and particularizing in math, especially as it relates to success criteria. In my own practicum placements, I facilitated math number talks and explored many strategies to solve the same equation. Personally, I found it difficult to remember the various names given to each of the strategies used (i.e., double plus one, decomposing numbers, friendly numbers, etc.). I came to the realization that if it was difficult for me to remember the terminology, it was probably difficult for my students. Additionally, I had to consider what my true success criteria were for my students during the number talks: Was it to use the proper name of the strategy used, or to utilize multiple strategies and be able to explain what they did? For my group of students, the function was more important than the lingo, and I believe my students learned more from sharing strategies with their peers than from putting names to strategies. This does not dismiss the importance of the language used in math classes, but it shifts the focus from particularizing to generalizing. What do you think will have the biggest impact on student engagement, motivation, and success in the elementary mathematics classroom? In my opinion, the delivery of the mathematic content will have the largest impact on student engagement, motivation, and success. 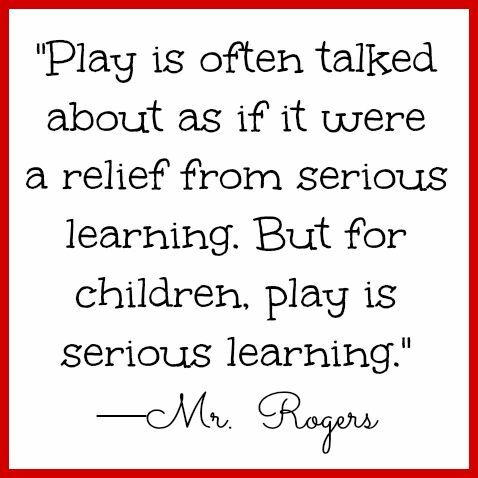 The best way that we can engage our students is by making the learning fun and interesting. We have a set curriculum that we must follow, so there isn’t much that we can change about what is being taught, but we can alter how it is being delivered. By using more play-based learning throughout the elementary grades, students will find consistency in how they learn mathematics while also associating a typically “difficult” subject with fun learning. It is also important that educators use visually stimulating tools to engage and motivate their students throughout their learning, including videos, books, and other texts (What Works? Research into Practice, pg. 2-3). When we are able to grasp our students attention and engage them in fun learning, students will be both intrinsically and extrinsically motivated to achieve success. To ensure the success of all students in our elementary mathematics classrooms, we must ensure that the content being delivered is at an grade-appropriate and obtainable level. The lessons should be differentiated to meet the levels of all students in the classroom, as well as providing multiple entry points into the same learning opportunities. 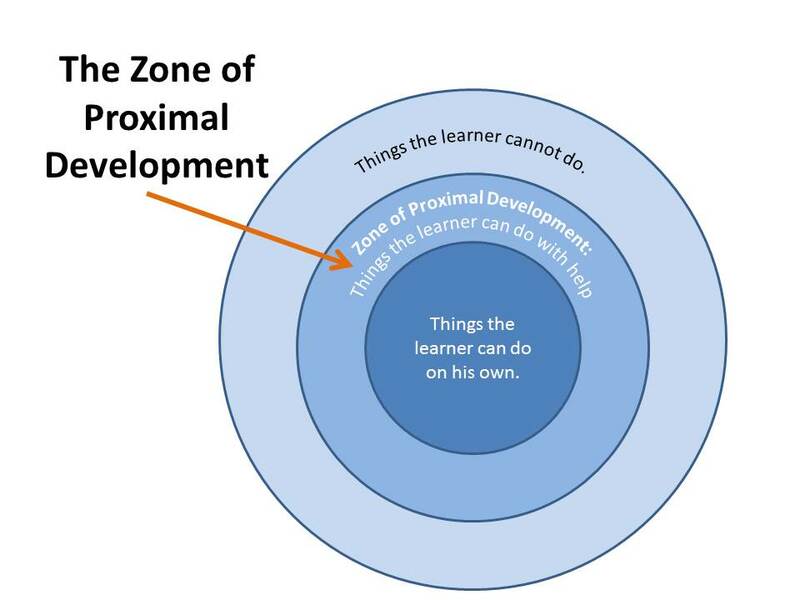 One thing that the Differentiating Mathematics Instruction Capacity Building Series suggests considering when differentiating our instruction are the students’ Zones of Proximal Development. This outlines the “distance between the actual developmental level” of the student and their “level of potential development” (Capacity Building Series, pg. 1). When we take this into account, we can determine where they are currently with their learning and provide them with learning opportunities that can challenge and extend this learning. Reflect on the value of problem solving and consider what makes a rich and engaging question. Discuss how important it is for students to explore and use communication in consolidating mathematical understanding through ‘math talk’. After spending time researching and exploring different teaching models, choose one to summarize, providing suggestions on how to incorporate this approach into your math class. Post your model along with a brief description of it and its application and usefulness in the primary/junior classroom.